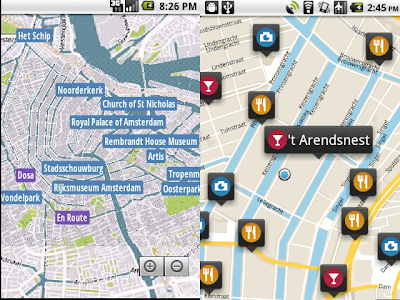 This morning we launched an update of our Amsterdam guide that uses vector maps. We're pretty proud of it already, but we will continue to smooth out the rough edges. 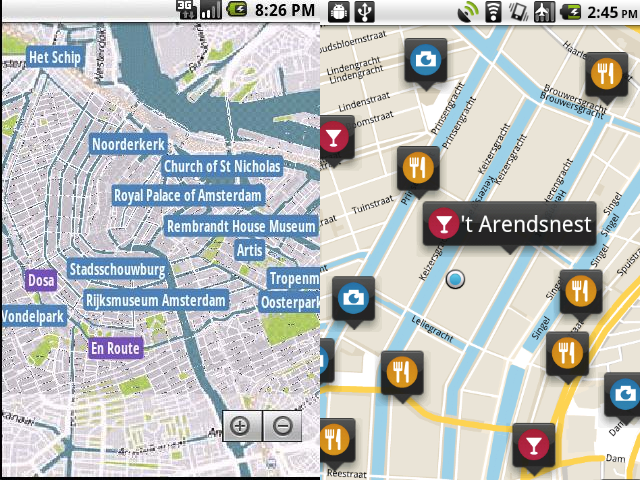 The great things with the vector maps is that they show more detail, and take up less space. For all our iOS users: we're working on it! i'm just curious. Did you write your own vector renderer to display maps? Or did you use any 3rd party library? wow omg. i want this as a library. it's so smooth. how can i get it? do you have a license for it?